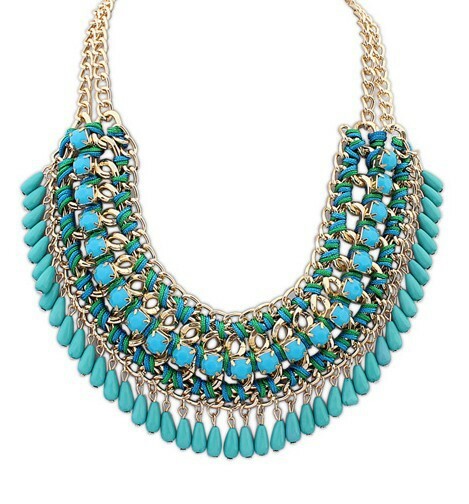 This Chelsey Bib Necklace will strengthen any look with its fearless style! Finished beautifully with blue beads, gold-tone chains and entwined thread, it is a style to treasure for years to come. If it's high quality, cheap jewellery you're after you found it. Grab your bargain on necklaces today!